The other weekend, I hit up the Chicago Toy and Game Fair, which is the largest in North America. ALL of the hottest toys and games were on full display, as well as many of the actual inventors. What I love about this event is the celebration of the pure joy that play brings to families. It allows you to let down your guard, be creative and connect on a very real level with those around you. 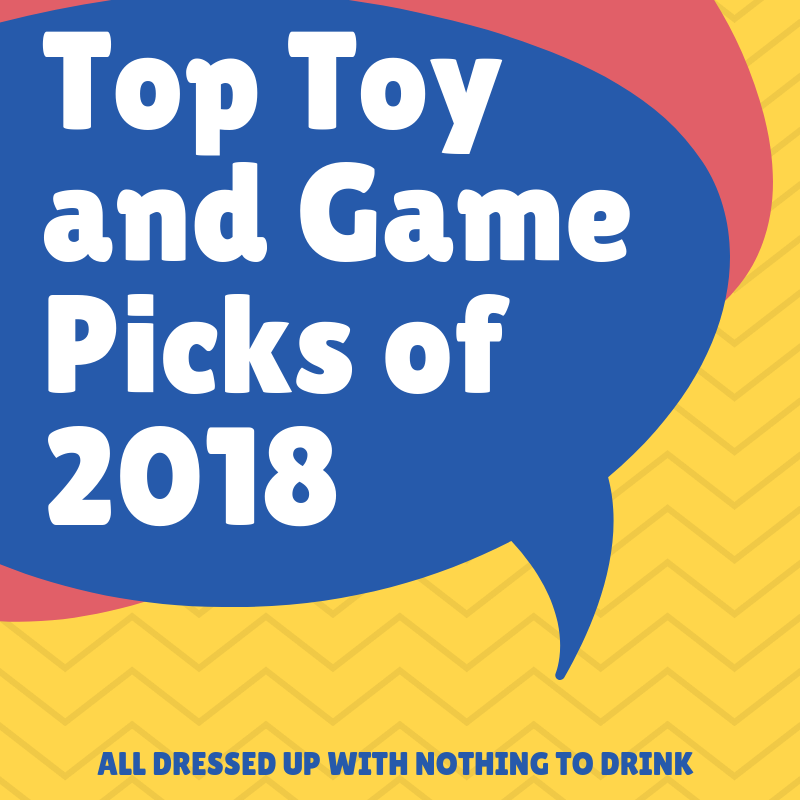 I am SO excited to bring you my top toy and game picks of 2018! I let my kids loose at the Toy and Game Fair every year, and observe what they focus on. I also observe what other children gravitate towards and new, innovative products on the market. 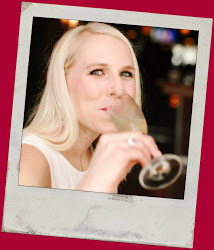 I recently wrote about my top Adult Game Night picks, but this one is for the kiddos. This product was dreamt up by a 7-year-old girl whose inspiration came from helping her brother sleep “happy.” She would encourage him to use his imagination to create stories that he wished to dream. From this came The Dream Pillow, which includes a super soft plush pillow with room for notes inside, a storybook that talks about the power of positive thinking and a pad of 60 blank Dream Pillow Cards. If your kids have a tough time getting to sleep, staying in bed or winding down for the night, I highly encourage you to give this a try! 5 Second Rule made the top of my son’s list this year- not sure if it is because we literally have a 5-second rule in our home (they start counting when food drops) or because he loves to think on his feet. This game is all about shouting out answers to a question in 5 seconds or less, so in a world where we tell kids to be quiet and stop interrupting it is perfect. The board is fairly simple as are the questions, so children of all ages will enjoy this fast-paced often hilarious game. 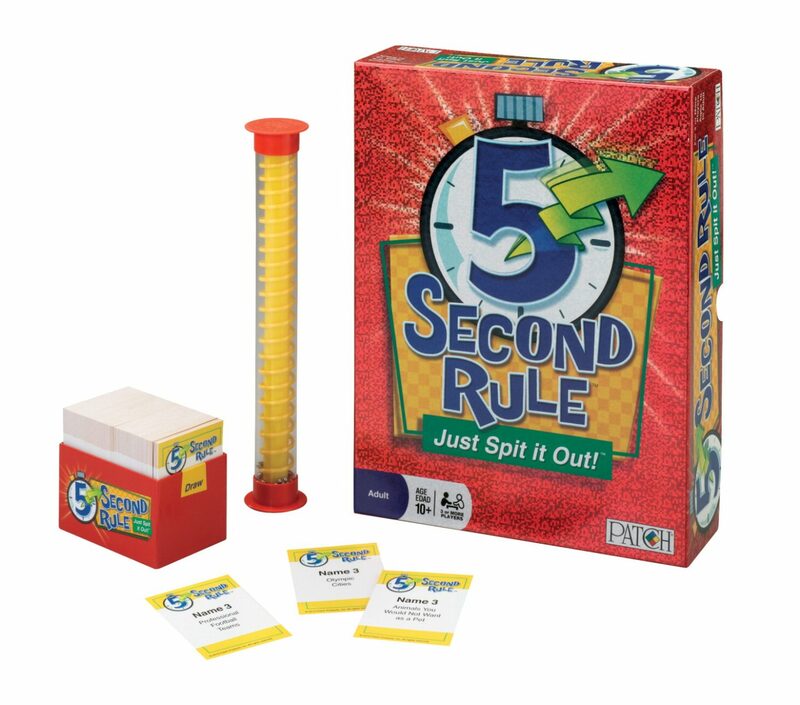 I think this is one of the top toy and game picks because who doesn’t love to yell out answers and hear hilarious attempts? If you have children who think potty humor is the only humor, this game is a winner for sure. 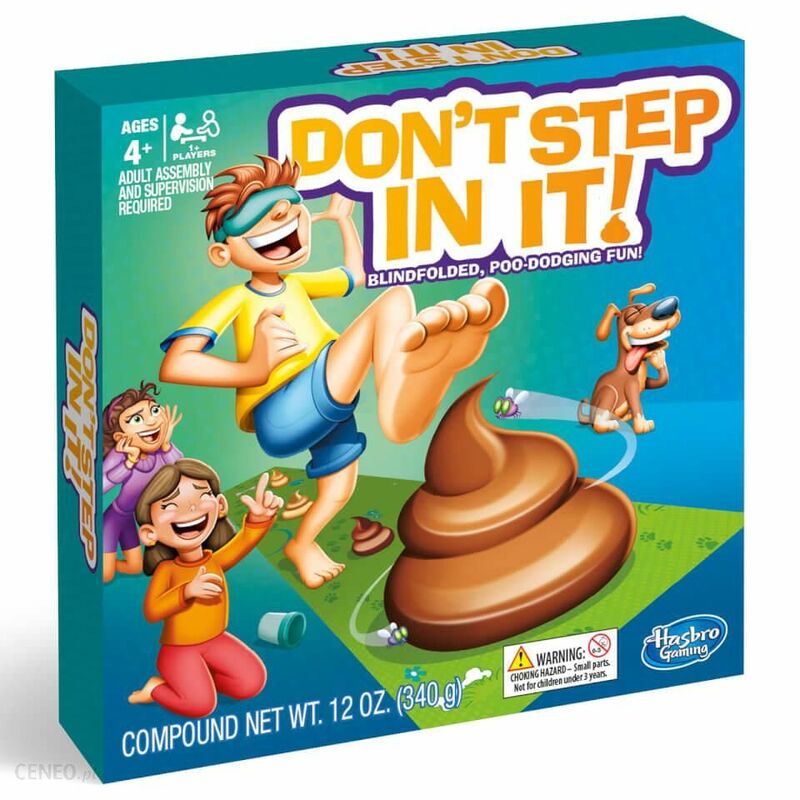 Don’t Step In It is all about dodging fake, squishy poop on a mat while blindfolded. We recently got a puppy so I can definitely relate! The game comes with a mat, blindfold, spinner, modeling compound (basically play dough) and a poop mold. Created for ages 4 and up, this is one of the top toy and game picks that younger ones will giggle their way through. My daughter, who is turning 5, is obsessed with both trinkets and jewelry. She has dozens of little figurines on her vanity, and boxes of plastic necklaces, bracelets and hair baubles lining her room. Twisty Petz are jeweled “pets” that transform into jewelry like necklaces, bracelets and even backpack accessories with a simple twist. This is a top toy and game pick because it accomplishes more than one feat- it is entertainment and bling all in one! My kids played this for quite a while at the Toy & Game Fair since each game is different. 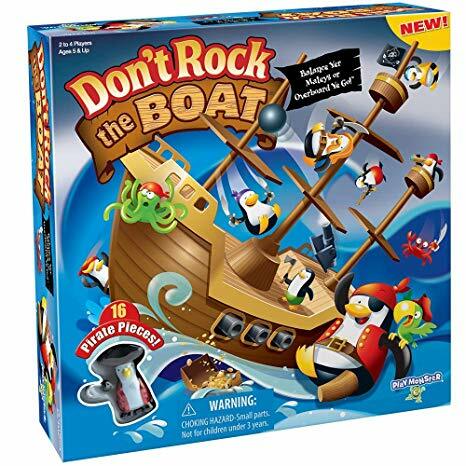 Created for ages 5+ (although any age can play, there are small pieces to watch out for), it is a balancing act to determine where to place each Penguin Pirate-themed piece on the boat to maintain balance. This game is easy to understand, doesn’t take a lot of set-up, and kids can increase their skill as they go. This top toy and game selection is great to teach kids patience and walk through the thought process of their choices. Cheers to all those happy little moments in life, and celebrating the joy of PLAY with your family! Disclosure- I am an ambassador for the Chicago Toy and Game Fair- all opinions are honest and my own. This post may contain affiliate links, which means that I make a small commission if you purchase through my site. It doesn’t affect your purchase price, so gracias!